‘A week is a long time in politics’ is a well worn phrase. Well worn because it is so often true. Following Prime Ministers Question on the 5th September where the availability of SDR was raised things have moved quite quickly. A meeting between the MP who raised the issue, Chris Heaton-Harris, and the board of NICE was hastily convened to discuss the changed guidelines. The meeting took place last Thursday. The NICE guidelines on SDR had recently changed suggesting that a large evidence base covering 8 – 10 years needed to be built showing the safety & efficacy of the procedure so that the correct candidates could be selected for it. This would effectively rule out it’s availability on the NHS whilst the evidence was gathered. At the meeting NICE clarified their position to say that the new guidelines should be read as an addition to the old ones they’ve issued. That the evidence should be gathered as operations are carried out. All of which means that operations will be available on the NHS – but decisions on funding them are for the individual Primary Care Trusts to take. So whilst this week represents a significant staging post in the availability of SDR on the NHS, I and other parents are concerned that we’ll be left with an ‘NHS postcode lottery’ where one region will give funding – and the neighbouring one doesn’t. We’re hoping that when the clarification on the guidelines is written down it will be so clear and unambiguous that each child who is a candidate will get treatment. It’s also a week since the end of the Paralympics. Like may other people I absolutely loved it. 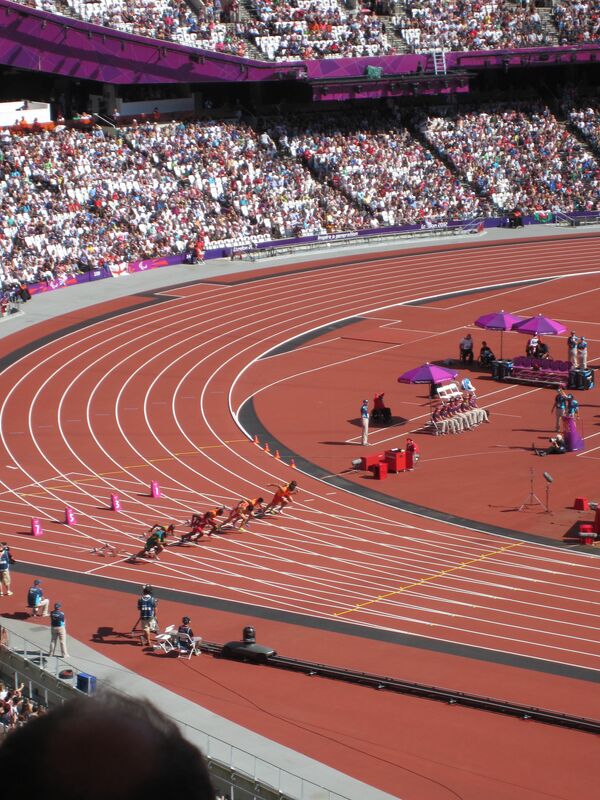 There used to be an argument disability campaigners would make that the Paralympics should come before the Olympics. So that they’d be seen more as a ‘starter’ as opposed to something tagged on the end. I used to think that argument had some currency – but to be honest I think it’s dead in the water now. I don’t think there’s anyone out there now who feels the Para’s were tagged on the end as an afterthought. The sport was just too good. I’ve also heard people try and make the argument that the success of the Para’s will put more pressure on people with disabilities. But I don’t think that carries much weight either. Expecting everyone with a disability to be a Paralympian is as daft as expecting every fully able person to be an Olympian – the world just doesn’t work like that. 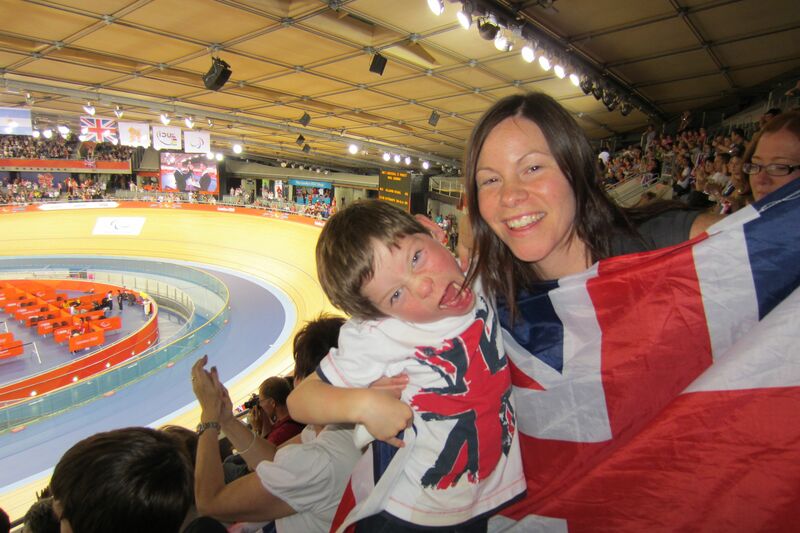 I booked tickets for the Paralympics last summer (that looks a bit smug written down) way before we knew Rhys would be having SDR. When I sent the order I figured we’d be sitting in half empty stadiums – how wrong was I about that. I booked them partly as I was annoyed about not getting the Olympic tickets I wanted. Also, I hoped that the sport might sow a seed in Rhys’ mind about how everybody is different but they can still get involved. Surely I, as his father, having spent hours in physio sessions with my eyes ‘looking to the stars’ didn’t need to have my pre conceptions about disability changing. Right. Wrong. 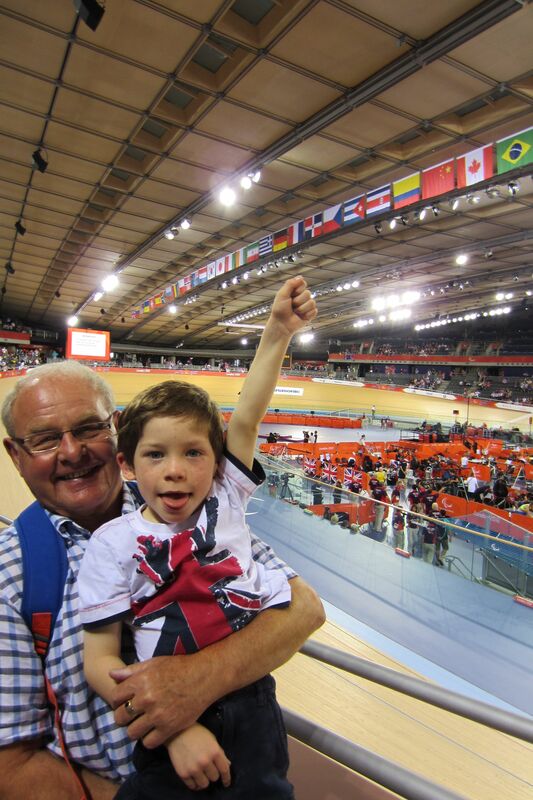 My moment of the games came when we were in the velodrome – it’s awesome in there. We were watching the ladies time trial and a Dutch girl was making her way to her bike on the start line with the support of another team member. She had CP and her balance & walking pattern was arguably worse than Rhys’ – but to see her race was incredible. She stormed round the track. And that’s when the penny dropped in my head. I can’t ever remember thinking that Rhys would or wouldn’t ride a 2 wheeled bike but all of a sudden seeing this girl race and win silver everything seemed possible. That’s not that I expect Rhys to race in a velodrome (he’d still rather be Katy Perry than Chris Hoy) more that the boundaries of what’s possible shifted in that moment. Long bike rides by the river are suddenly on the agenda. It’s obviously not just me that has had their mind and opinions moved by the Paralympics. When I first saw a swimmer without arms powering their way through the pool I was amazed – but a week later as I watched, it didn’t seem that remarkable anymore. I was just watching the race. And so I think that the 10 days of sport has shifted perceptions of people with a disability further than they’ve moved in the previous 10 years. 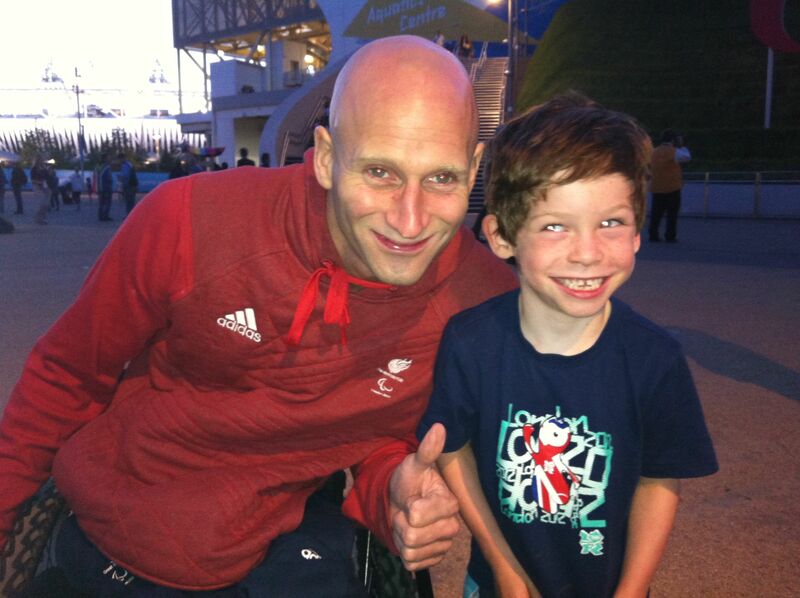 Here’s the moment when Team GB swimmer James O’Shea met British 10m swimmer Rhys Heal. It was great that the athletes were just hanging round the venues after competing. 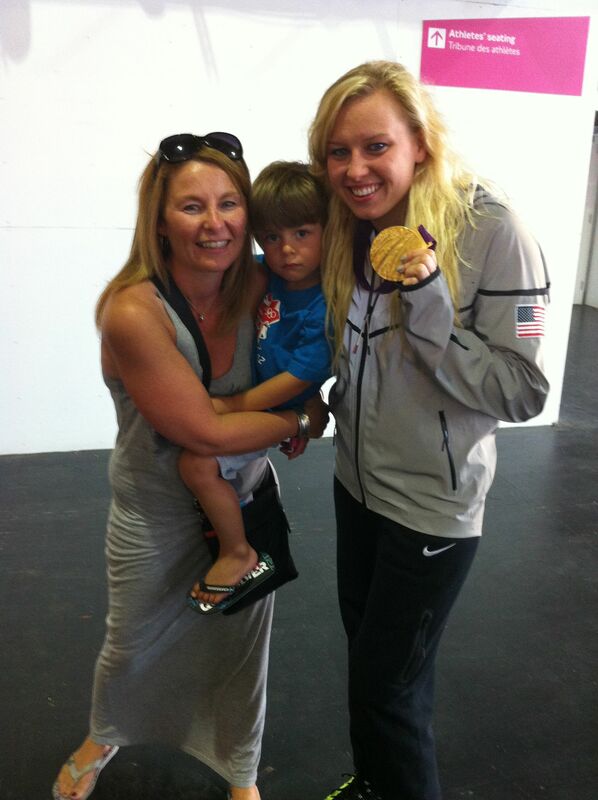 My sister had her photo taken with an American gold medalist just after she’d got out of the pool. In amongst all this Rhys went back to school last week and as I picked him up one day 5 or 6 lads were wearing blindfolds running round the playground trying to play blind football. That’s definitely something that you wouldn’t have seen 2 weeks ago. Before we got home I bumped into another parent I know whose child has CP. She told me about the ongoing arguments she has had with the local wheel chair service. And that kind of sums up for me where we are – we’re somewhere in the middle. We’ve glimpsed through the prism of sport what we can achieve and how incredible society can be – it’s just that we’ve not arrived there quite yet. But I have to admit that I do like where we’re going. As usual, a truly honest (from the heart) account of what you have been through/are going through/yet to go through! I’ve got to admit your blog had me a little choked regarding the Paralympians because, as you say, without this having happened (i.e. being at the veladrome), you probably would never have thought of Rhys riding a 2 wheeled bike – as I would not of Mia … BUT the Paralympics made me see things so very differently for children with CP (and so many other disabilities) that I can honestly say I am looking forward to what lies ahead for Mia after SDR as, although daunting on so many levels, she will gain (in terms of capabilities, goals, achievements) much more than she EVER would were we to just ‘admit defeat’ to CP as so-called ‘professionals’ have led us to believe is all that she, Mia (we, her family, in turn) has to look forward to! So pleased for Rhys (and all of you) that things are going well – no less than you all deserve. Brilliant post. The hard work, dedication and dreams that the Olympic athletes (both sets) have is a lesson that all of us can gain inspiration from. It is certainly something that I want my son to aspire to be. I am a blogger, disability campaigner, and longtime patient of the Clarence Centre where I have heard a lot about your son and your blog. This is such a well written and moving post. It’s so good to know that there are parents like you behind children like us. Thanks Sarah – that’s very kind. Gareth. only just caught up on reading some of these bloggs Gareth. Great to read them! Hope the latest op has gone well. The pictures are brilliant too. He always looks so bloody cool in a photo doesn’t he? and not just your dad but Rhys too.